SpaceX has won a new Falcon Heavy launch contract from Swedish telecommunications company Ovzon, which hopes to procure a large geostationary communications satellite in time for launch in the fourth quarter of 2020. 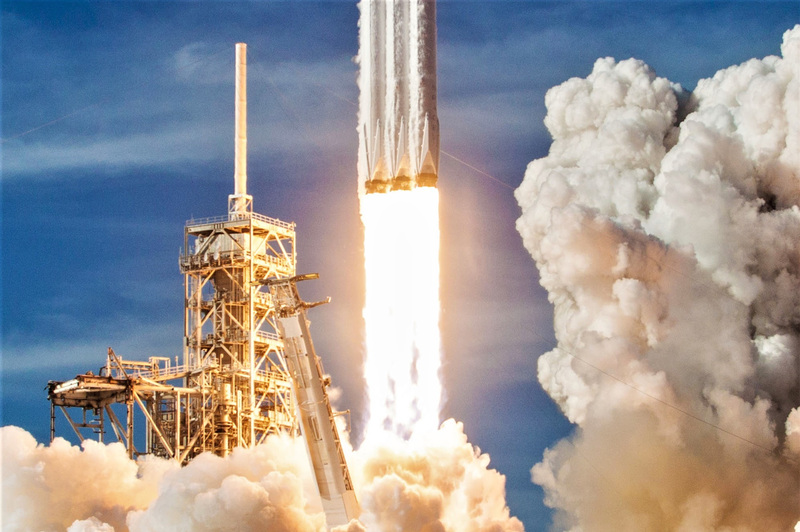 Excluding two pending contracts, a consequence of the many years of delays suffered since SpaceX first began marketing the rocket, Ovzon’s commitment is now the fourth commercial contract secured by Falcon Heavy in 2019 and 2020, solidifying enough demand to sustain – on average – biannual launches over the next two or so years. Speaking at IAC 2018, SpaceX VP of Reliability Hans Koenigsmann was by no means wrong when he described the latent demand seen for Falcon Heavy launches, stating that “there aren’t too many customers for it”. Indeed, just three firm launch contracts over the next two years did not bode particularly well for Falcon Heavy as a competitive complement to SpaceX’s commercial launch business – without regular demand and assuming a competitive and fixed-price market, the cost of maintaining the infrastructure needed to build and fly a distinct launch vehicle will inevitably end up cannibalizing profitability or even the ability to break even. For vehicles like ULA’s Delta IV Heavy, NASA’s SLS, or the late Space Shuttle, the unique capabilities offered by certain low-volume rockets or even just the risk of faltering can lead to situations where anchor customers will swallow huge cost premiums for the sake of simply preserving those capabilities. In non-competitive markets, it does not take much for nearly any capability to become essentially priceless. SpaceX, however, paid for Falcon Heavy’s development without seeking – and even actively turning down – most government development funding or guaranteed launch contracts. As such, Falcon Heavy’s utility and existence are in a far more precarious position than most rockets, owing to the fact that SpaceX would likely not hesitate to kill the vehicle if commercial demand rapidly withered to nothing, far from impossible with just three total launches contracted over a period of fewer than two years. Prior to the USAF announcing a new Falcon Heavy launch contract in June 2018, that number was just two secured launches. Combined with the USAF purchase, Ozvon’s new contract suggests that prospects for the super-heavy-lift rocket may be at least warm enough to sustain its useful existence. There is also a decent chance that, once Falcon Heavy has proven itself with one or two real satellite launches, commercial launch customers will warm to its impressive capabilities. Most notably, Ozvon may have sided with Falcon Heavy solely because the powerful rocket can place its Ozvon-3 communications satellite directlyinto geostationary orbit (GEO), compared to the far more common process of launching the satellite roughly halfway there and letting it finish the journey on its own, known as geostationary transfer orbit (GTO) insertion. There is undoubtedly significant commercial upside for geostationary communications satellites to arrive at their operational orbits as quickly as possible, rather than spending weeks or even months slowly making their way uphill from GTO. The cost of dedicated launches of Delta IV Heavy or Ariane 5 have far outweighed the benefits of earlier operability for as long as the rockets have been flying, though, and smaller and more affordable vehicles like Falcon 9, Atlas 5, or dual-manifested Ariane 5s simply aren’t powerful enough to launch traditionally-sized commsats directly to GEO. In that regard, Falcon Heavy launches could become a commercial game changer and a distinct competitive advantage for companies that select it. Now with at least four launch contracts secured over the next ~24 months, Falcon Heavy will have a much better chance at demonstrating its true capabilities, potentially enabling military-premium launch services (~$250m+) at commercial-premium prices (~$90-150m). If it performs as intended in its next few launches, expected sometime in H1 2019, Falcon Heavy will be a strong contender for at least five additional USAF contracts as well as certain NASA missions scheduled to launch in the 2020s. Experience with Falcon Heavy may only be tangentially beneficial at best to SpaceX’s greater BFR ambitions, but commercially, competitively, and reliably operating a rocket as large as FH for customers like the USAF and NASA would go a long, long way towards solidifying SpaceX’s perception as a ULA-equivalent launch provider for roughly half the cost.